'Lackawanna 6' Link To Yemen Killings? A Yemeni-American killed in a CIA airstrike in Yemen has links to alleged members of the al Qaeda cell in suburban Buffalo, N.Y., that was raided by U.S. authorities in September, a U.S. government official said Friday. The man, identified by Yemeni officials as Ahmed Hijazi, is a U.S. citizen, U.S. and Yemeni officials said on condition of anonymity. The apparent killing of a U.S. citizen, even an alleged terrorist killed collaterally, threatens to draw the CIA into murky waters. The agency is conducting a massive, largely hidden effort to catch and kill al Qaeda members as a part of the war on terrorism. On Sunday, a CIA Predator drone aircraft near Marib, Yemen, fired a missile at a car carrying Qaed Salim Sinan al-Harethi, al Qaeda 's chief operative in Yemen. Hijazi and four non-Americans, all described as al Qaeda operatives, were traveling with him. 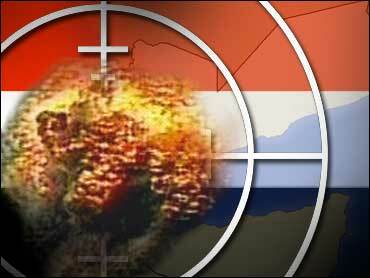 Al-Harethi, one of al Qaeda 's most senior operatives, was the apparent target of the strike. It is unclear whether the CIA knew the identities of all of his companions in the car when it fired the missile. The strike on al-Harethi was conducted under a wide-ranging directive by President Bush allowing the CIA to pursue al Qaeda operatives worldwide. The agency has declined comment on the strike. The CIA's mission is to gather information on foreigners, particularly threats to national security, and conduct covert action at the direction of the president. It is highly restricted from gathering intelligence on Americans and operating inside of the United States. The attack has drawn criticism from human rights circles. On Friday, Amnesty International sent letters to U.S. and Yemeni officials seeking information on the attacks. An Amnesty International spokesman in Washington said Thursday that the U.S. attack violates international treaties prohibiting summary executions done without the due process of law. Bush administration officials have said it was a legitimate wartime operation against a known enemy. Hijazi's precise links to the Buffalo cell were not made clear. Yemeni officials believe Hijazi was a pseudonym, and his real name was not known. Two alleged members of the Buffalo cell, leader Kamal Derwish and Jaber Elbaneh, were at large in Yemen, according to U.S. officials. Officials would not say whether Hijazi was one of these two. Six more alleged members of the cell, all Americans of Yemeni descent, were arrested just days after the Sept. 11 anniversary. Five were taken in raids in Lackawanna, N.Y., a suburb of Buffalo; a sixth was captured in Bahrain and brought to the United States. FBI agents, acting in part on CIA information, conducted the investigation that led to the arrests. Last month, the six pleaded innocent to charges they trained at an al Qaeda camp in Afghanistan, after a federal jury charged them on two counts of providing material support to a foreign terrorist organization. The charges carry a penalty of up to 15 years in prison. Authorities said the charges are largely based on allegations that in spring 2001 they attended the terror camp, where bin Laden declared that there "is going to be a fight against Americans." Prosecutors said the men formed a sleeper cell, awaiting orders to carry out an attack in the United States. However, prosecutors acknowledged there was no evidence the men posed an imminent threat. Only one of the men, Sahim Alwan, 29, was granted bail. He is awaiting release on $600,000. The five others - Yahya Goba, 25; Yasein Taher, 25; Faysal Galab, 26; Shafal Mosed, 24; and Mukhtar al-Bakri, 22 - are being held without bail.